During the past 10 years there have been rapid developments in the detection and characterization of surface-active agents formed by bacteria, yeasts and fungi. 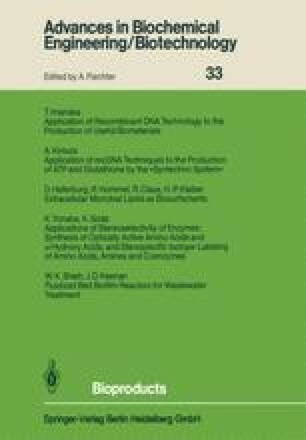 The present paper reviews the available information on microbial processes which result in the formation of such compounds — biosurfactants —, i.e. appropriate conditions as well as the known chemical structures and physico-chemical properties of isolated biosurfactants. The physiological importance of extracellular surface-active compounds is discussed, particularly with respect to their possible role in the microbial degradation of water-insoluble carbon-sources and their possible biocidic effects. A survey on commercial applications is given and conclusions for further research work are presented.